Need a great spot for date night? Pigeon Forge and the rest of the Great Smoky Mountains are known as one of the country’s most romantic travel destinations: Why else would so many happy couples head to our hills for Smoky Mountain weddings and honeymoons? The romance is especially alive this time of year. As we head toward Valentine’s Day, it’s time to start making plans to play Cupid for yourself, and there’s no better place to do so than right here in the Smokies! The Rocky Top Wine Trail consists of six local wineries within 15 miles, each offering its own brand of local flavor and opportunities to experience a bit of classic Pigeon Forge! Consider spending an afternoon enjoying each stop and savoring the sites and sips, then making it a date night at one of Pigeon Forge’s favorite restaurants. Alamo Steakhouse never disappoints with its expansive menu of mouth-watering favorites. Browse around to find an option that suits the romantic style of both you and your sweetie! The Smoky Mountains can certainly set the scene for an evening (or weekend) of romance! Make the most of the beautiful views by looking out from above! Consider taking a ride on the Great Smoky Mountain Wheel for date night at the Island in Pigeon Forge (where the cozy gondolas offer endless opportunities for cuddling and canoodling!) or take it all in from the top of the Gatlinburg Space Needle or Clingman's Dome. Looking out over the mountainscape can certainly make your heart flutter. After all, they say love can move mountains. 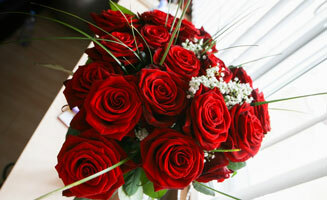 February is sweetheart's month at Pigeon Forge's Titanic Museum Attraction! Take a walk down the gorgeous grand staircase and profess your love. If you're quick enough, you should make reservations for the annual First Class Valentines Dinner and gain access to the museums "secret" dining room for a truly elegant evening. Chances are that if you’ve decided to vacation in the Smokies, that you’re truly looking to get away from it all. Make your romantic escape totally rejuvenating – both mentally and physically – by enjoying a massage with your beloved. 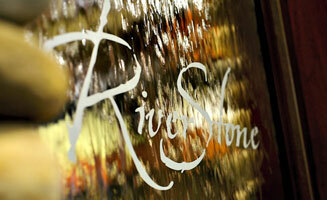 Our friends at Riverstone Resort and Spa have all kinds of accommodations and spa packages for couples looking to relax together! Or just rent a cabin in Pigeon Forge for a romantic getaway weekend. There’s something to be said about re-experiencing childhood’s events with your partner. 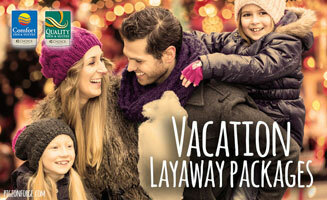 Consider taking your sweetie to Ober Gatlinburg and hold hands as you navigate the ice! Book a three-hour skating session on this amusement center’s indoor rink, then consider hitting the hills for snow tubing or skiing! Or, after the skating session, consider taking a stroll through Downtown Gatlinburg to experience the sights, sounds and smells of our neighboring Smoky Mountain city! Other ways you can relax together include getting away from it all for a quick hike or nature walk through the Great Smoky Mountains National Park, letting loose at a comedy show at a Parkway theater, or even just curling up together in a cabin or mountaintop chalet. What do you love about romance in the Smokies? Share your thoughts at the PigeonForge.com Facebook page! 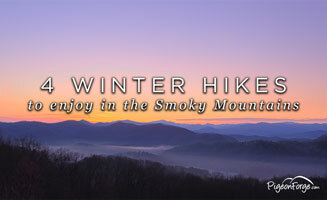 Want weekly updates with more tips for your next Smoky Mountain escape? Sign up for PigeonForge.com’s e-newsletter here!